No words. For a solid 30 seconds Henry Cejudo had our respect. Yeah, beating TJ Dillashaw was cool but then Cejudo tried to score a date with WWE Nikki Bella. This was a boss move by Henry. The funny thing is, for reasons we will never truly understand, Bella actually responded to his courtship. I know, we couldn’t believe it either. 2019 is young, but this was already one of the biggest upsets of the year. Do you believe in love? Do you believe in miracles? If you answered yes to either of those questions then you too were shocked at Cejudo getting Bella’s attention. Then Cejudo blew it. He doesn’t just fumble away all the goodwill he built up, he tripped over his own shoelaces on the way to self KO-ing himself. Wanting to double down on the vomit inducing attempts at real life human flirting, it’s now Valentine’s Day week and Cejudo is still lobbing shots at Bella. This time in poem form. I am trying to rebrand single awareness day , what are your plans on February 14th? He really just typed out those words. Read them over aloud. And still hit send on that tweet. Male or female, if Henry Cejudo was in your crew and it was 2:00 AM on a Saturday you would be cutting your dude off. You’re done. Get him some glasses of water and an Uber, we’re all done here. Nothing else is happening tonight except some regrettable fast food decisions. 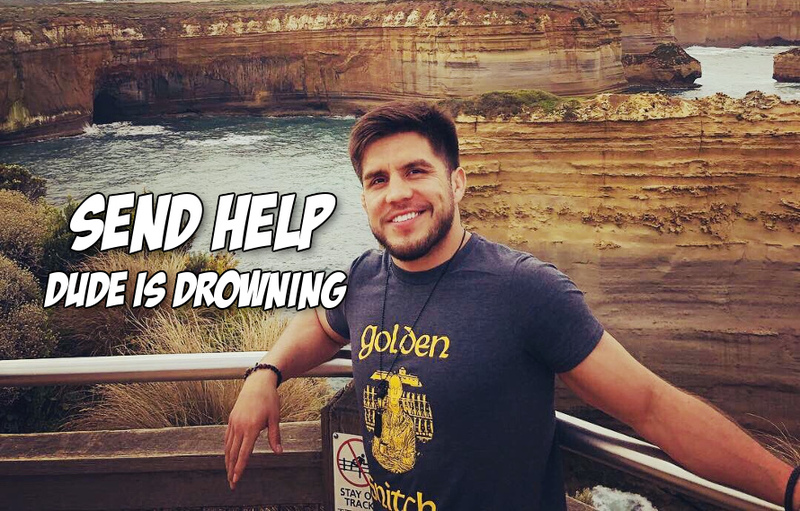 Somebody get their man, save Henry Cejudo from himself. We can’t take the awkwardness anymore.